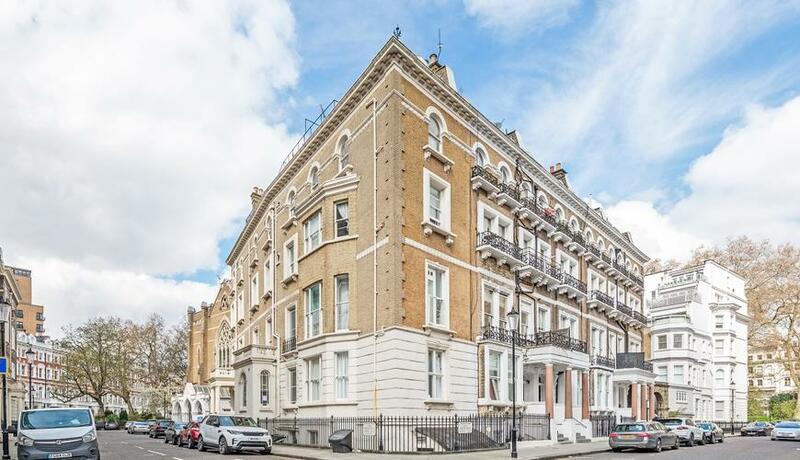 A bright and spacious one bedroom apartment with terrific ceiling height and private balcony set over the first floor of this beautiful period building within a short walk of Gloucester Road station. This well-proportioned property offer a large living space with access to the private first floor balcony, fitted storage and beautiful period coving. There is a separate modern fitted kitchen, a large double bedroom with ample fitted storage and a stylish shower room with walk-in shower. 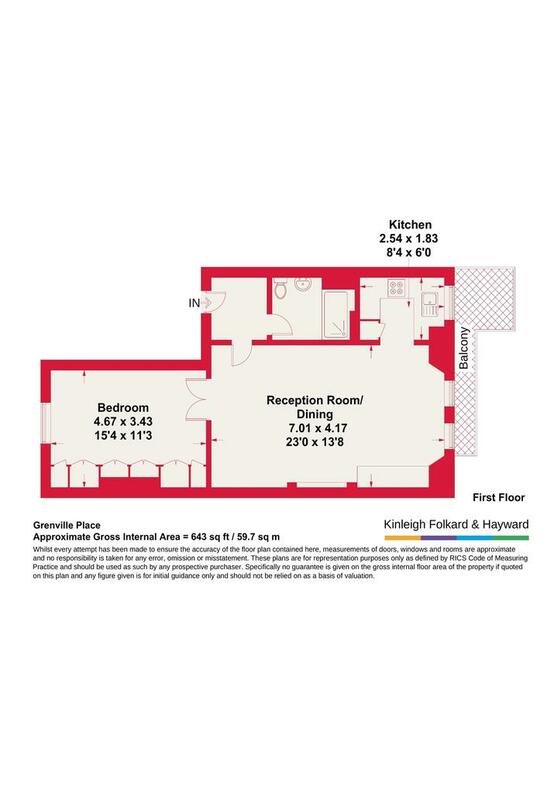 Grenville Place is a quiet residential street located within a short walk of Gloucester Road station with District & Circle Line as well as a plethora of local shops, restaurants and amenities including a large Waitrose. Last but by no means least, Hyde Park is located within half a mile of the property.